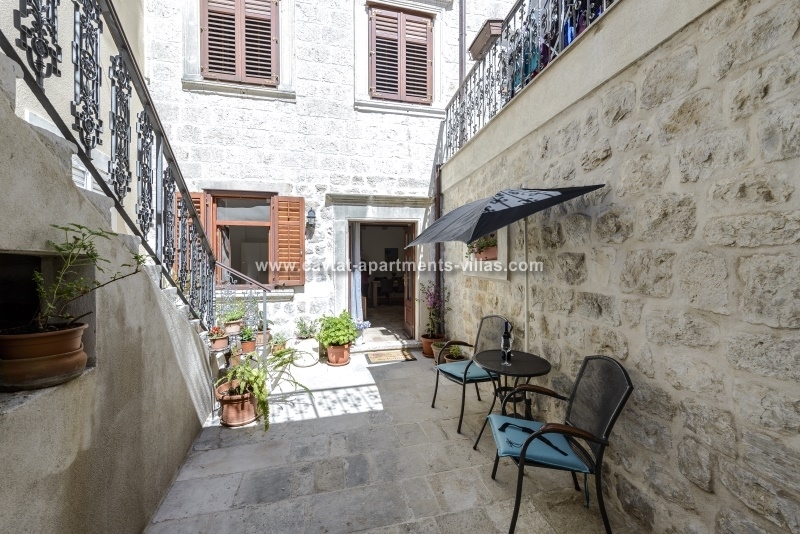 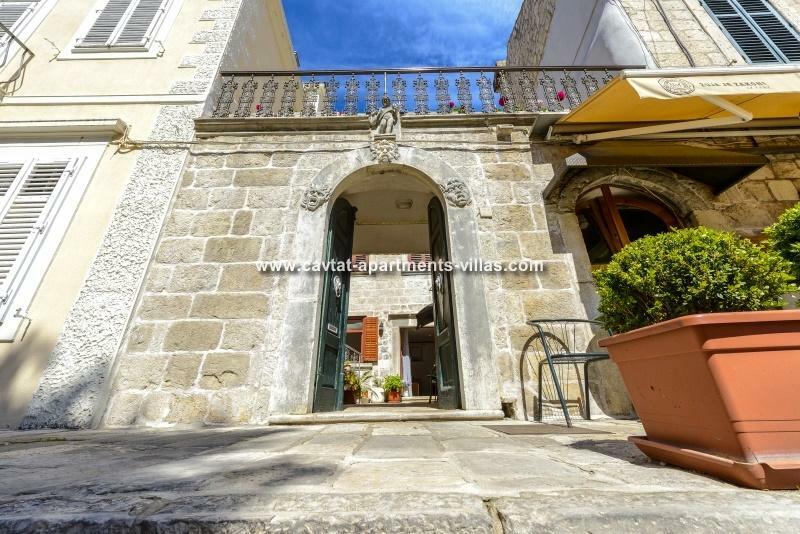 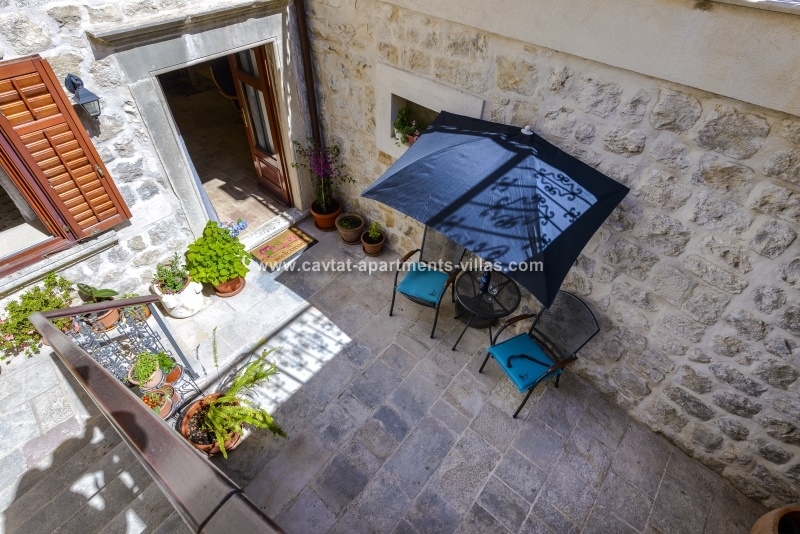 Situated directly on the main Cavtat's promenade this newly restored 1-bedroom apartment is a real gem! 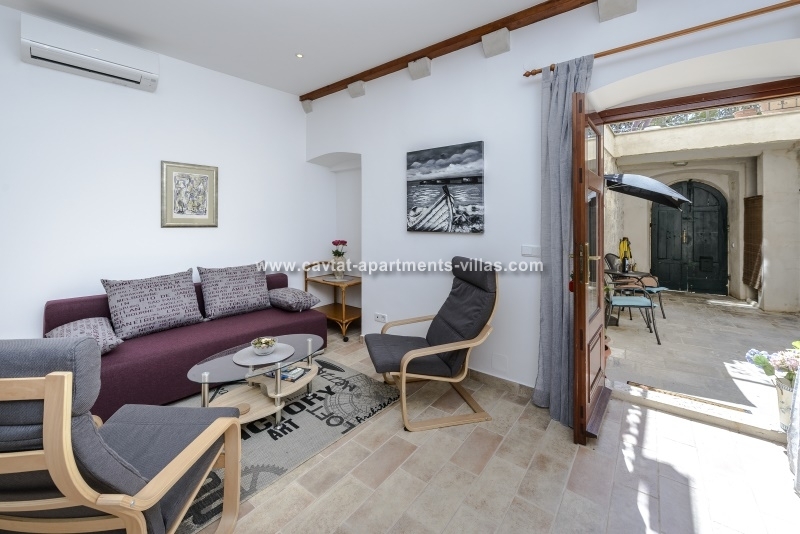 Situated on the ground floor, this amazing holiday let is a part of a privately owned villa and consists of a double bedroom, a shower room, a fully equipped kitchen/diner/lounge area with a sofa which can be used as an extra sleeping area for one adult or two children. 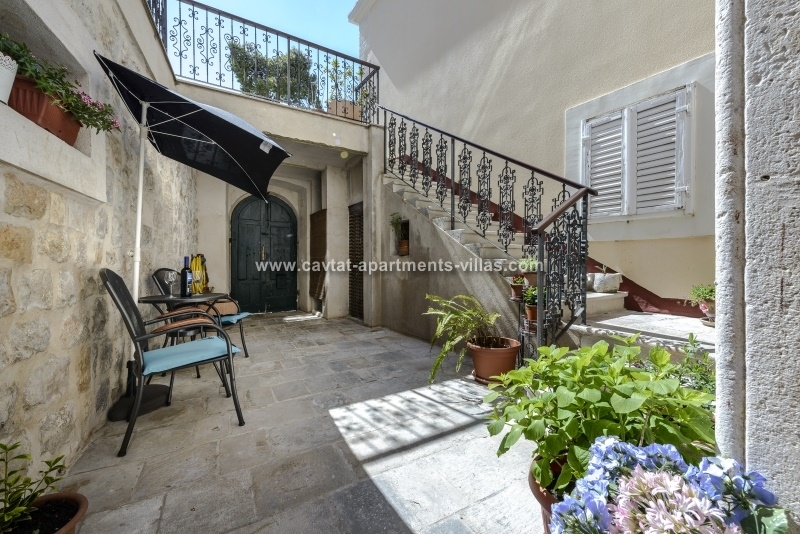 A door from the kitchen/diner/lounge leads out onto a lovely courtyard (korta) with outdoor furniture table and two chairs. 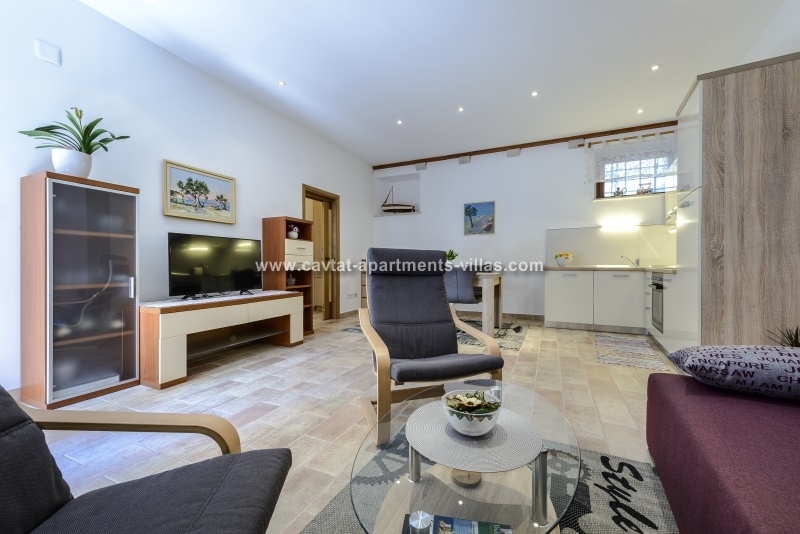 The apartment is air conditioned and features a sat TV and Free WiFi. 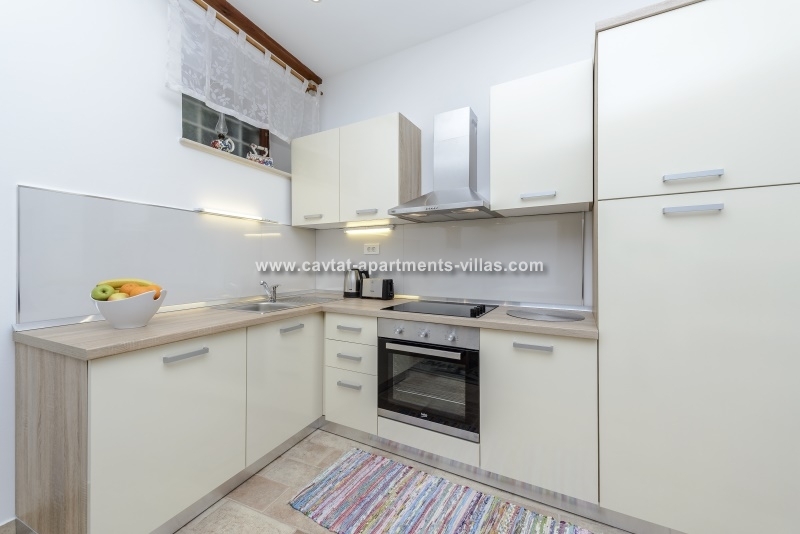 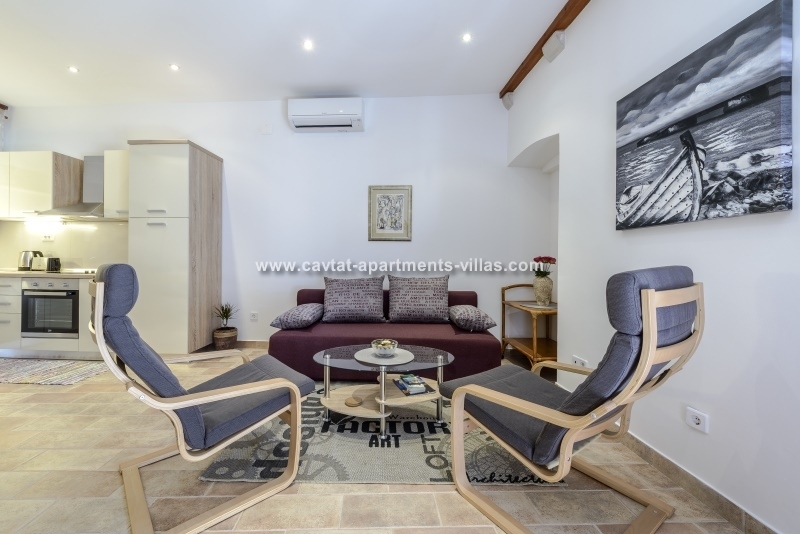 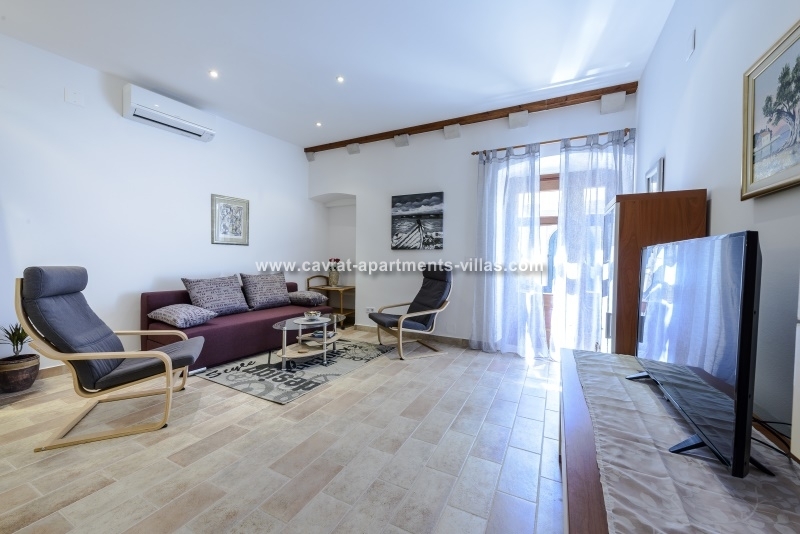 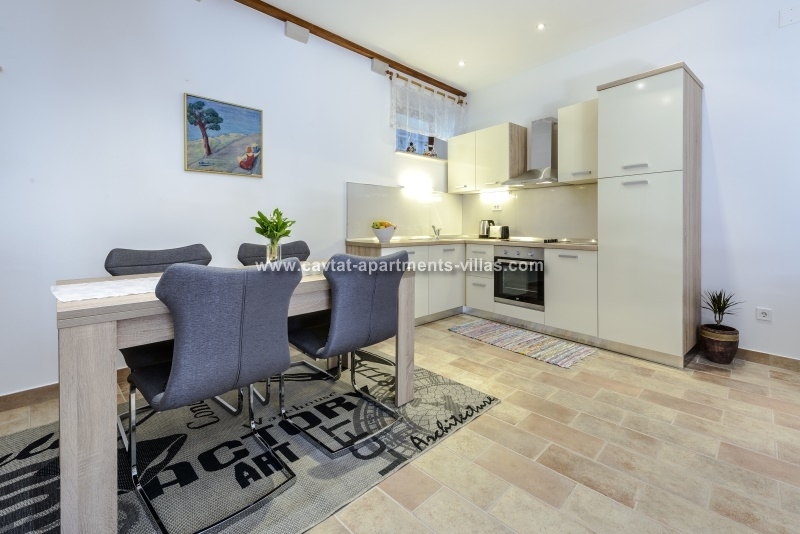 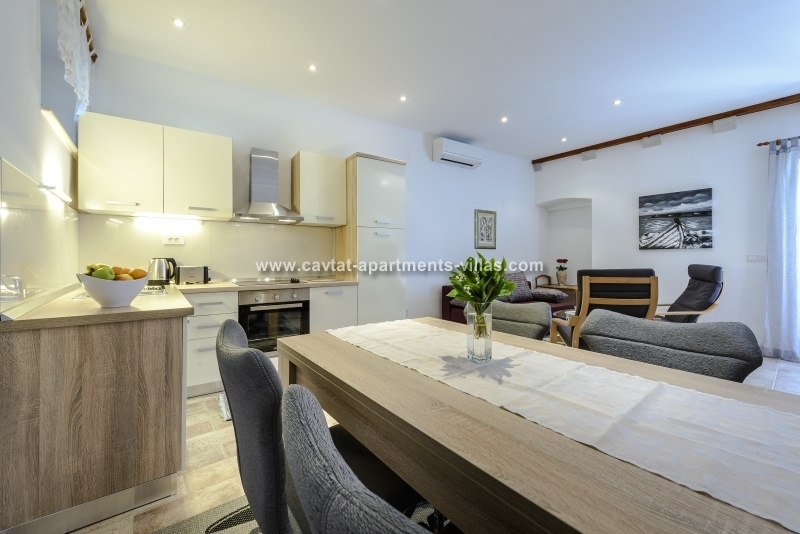 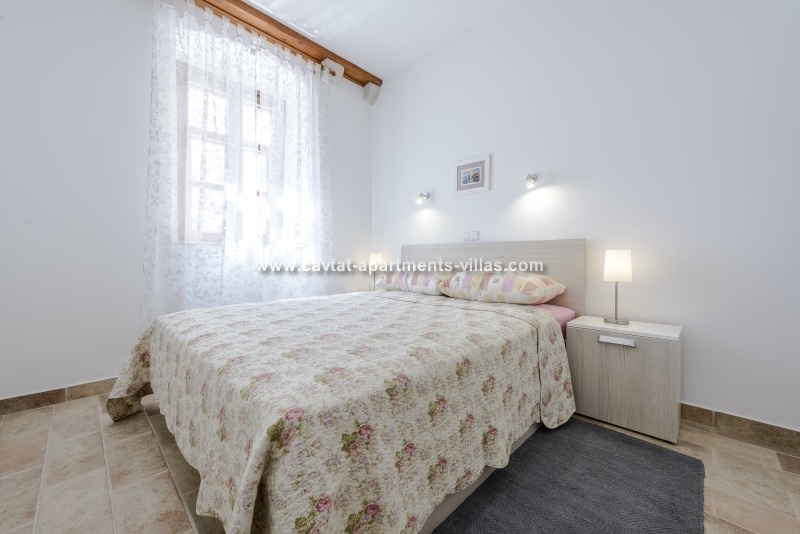 This apartment is suitable for those with walking difficulties as there is just 1 step from the flat area of Cavtat's main palm-lined promenade. 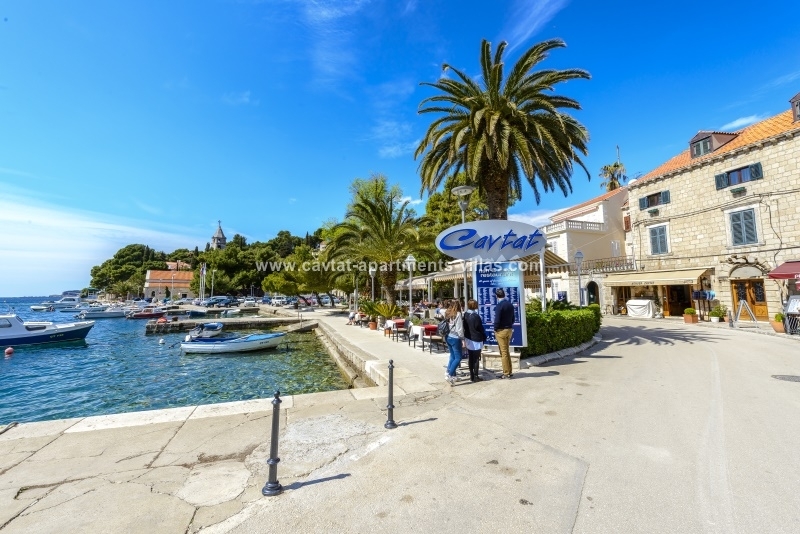 For those traveling by car there is a public parking to pay nearby. 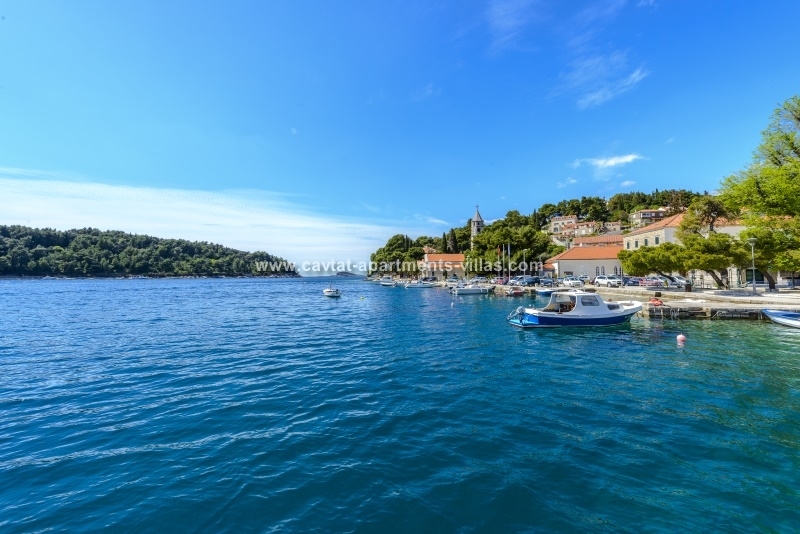 If arriving by car please contact us for further information.